Home » Entertainment » Ukepocalypse Now! 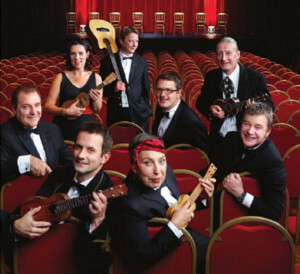 Still Live – by The Ukulele Orchestra of Great Britain. Buy it here. Way back in the summer 2009 the UK’s venerable old Albert Hall proms played host to the Ukulele Orchestra of Great Britain – a sold out night where a good proportion of the audience had brought along their own instrument to join in. Now it’s all well out of hand with the now annual Ukulele Hooley – a festival that’s taking over Dun Laoghaire, Co. Dublin this summer, with guests from all over the globe. Just one of many international ukulele gatherings going on worldwide. The uke’s been spreading like wildfire, and there’s no stopping the conflagration now. In schools it’s taking over music lessons. And why not – it’s simpler and hipper than the recorder, and far more likely to start a sing song or a jam session. 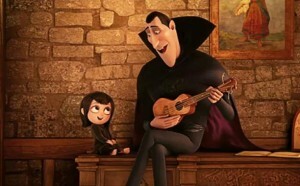 All star monster comedy feature ‘Hotel Transylvania’. where the count serenades… Buy it here. 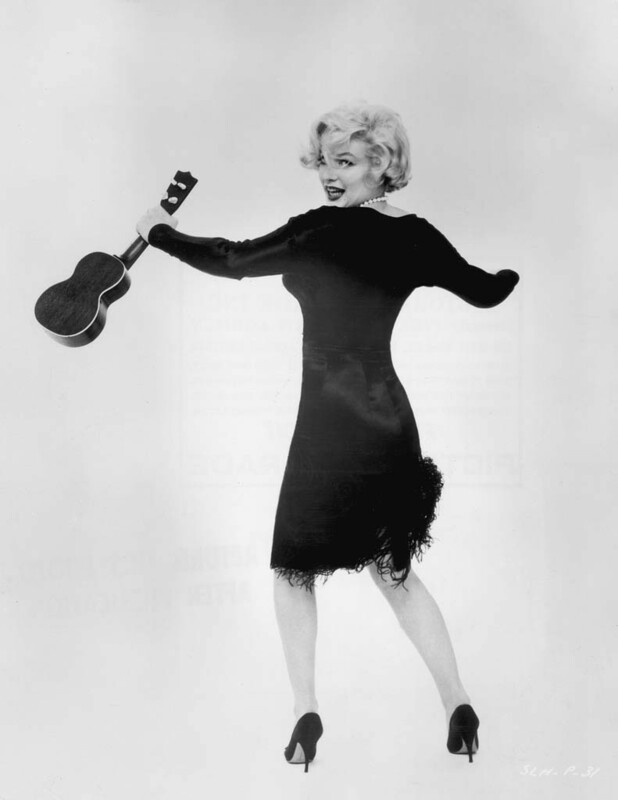 It sure helps when some of the planet’s finest musicians and pop stars walk out on stage with a ukulele in hand. And it’s a cool move – it symbolises everything that this giant (and fading) music industry is not. It sounds raw and untrained and therefore fits in perfectly with the raw and untrained voice. It’s a perfect D.I.Y. instrument, a happy go lucky sound that’ll lift the gloom. So here are few of my favorite ukulele moments from the famous and not-so-famous, by way of an encore to my Ukulele homage – which you can read here. Bruno Mars regularly shows his Hawaiian roots by dusting off his uke for this song from his debut album. Robyn’s existential dance hit Dancing on my Own gets the ukulele treatment by Aussie music star Brendan MacLean – who also does a surprisingly touching ukulele version of The Bee Gees Staying Alive. The story with Sarah McLachlan is that she began singing at the age of four. She was clearly far too young for a guitar so her mom bought her a ukulele and a guy down the street gave her some lessons. She got rather good, don’t you think? “It’s kind of a magical-trick instrument, because it’s so easy to play but it’s so incredibly charming. Just the sound of it makes people smile.” So says Amanda Palmer on the ukulele, which she turns into a metaphor for creating whatever you want, unpolished though it may be. A duo from Columbus, Ohio, proponents of ‘Schizoid Pop’, Tyler Joseph says that this song is about his mother. A song that is about a baby elephant. “It was recently orphaned and walked onto this aerodrome; the people I know took it in and called it Mr. Tembo. I was there, and I met this little elephant, and he was very sweet. I sang it to him.” Tembo in Swahili means elephant. Leeds rockers share the stage with the aforementioned Ukulele Orchestra of Great Britain in a rendition of their number one hit. Del Ray is a wonderful blues player, who plays a gorgeous R.E. Phillips ‘parlour guitar’. She’s one of the instruments finest teachers and players. Visit her website. Singer songwriter Ingrid Michaelson is one of America’s most promising independent artists, and uses the ukulele often in her live shows. Another pair of up and coming stars, that Stan Laurel and Oliver Hardy just need to add a little color to their stagecraft and who knows where it might lead. Another hottie with a uke. How can we resist! The original uke superstar, who used to report to all kinds of gimmicks to keep the audience entertained including playing with his teeth or behind his back.